MILAN (Bloomberg) -- Sergio Marchionne, CEO and architect of the merger that created Fiat Chrysler Automobiles NV, triumphantly rang the closing bell on the New York Stock Exchange last week to mark the company's debut. Wall Street investors weren't really listening. In contrast, European investors have dominated trading in the world's seventh-largest automaker, even though FCA's primary listing shifted to the U.S. Since the Oct. 13 start, the volume in its traditional market of Milan is about 7 times that in New York, with about 18.6 million shares traded daily on average in Italy compared with 2.5 million on the NYSE. "Clearly, U.S. investors are still in wait-and-see mode on FCA, while in Milan the stock remains one of the iconic companies," said Vincenzo Longo, a strategist for IG Markets in Milan. "FCA's volume in New York is irrelevant." The tepid start on Wall Street makes next week's board meeting and a subsequent roadshow for investors critical as Marchionne works to make the combination of Italy-based Fiat and Detroit icon Chrysler a stronger competitor in the global auto industry. 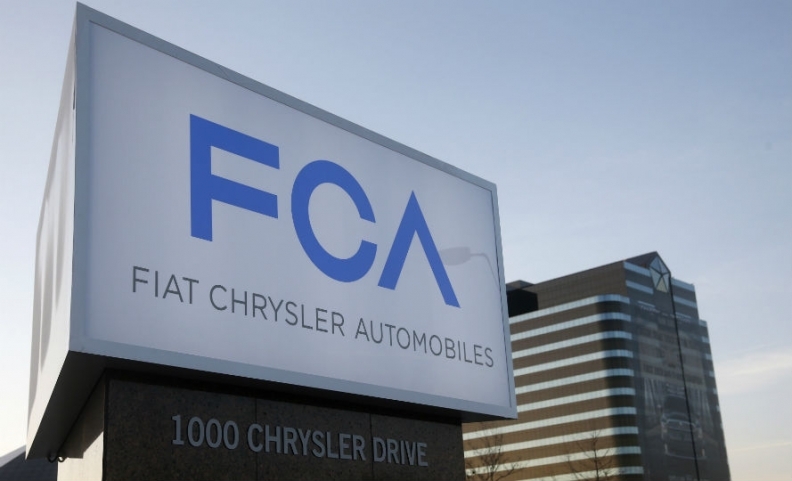 FCA's board will meet on Oct. 29 and discuss financing, including the possibility of selling new shares. Once the plan is in place, Marchionne and Chief Financial Officer Richard Palmer will go on tour. "We are going to canvas U.S. investors in November," Marchionne said earlier this month at the Paris auto show. "I told CFO Palmer to prepare a couple of changes of clothes." FCA traded down 0.2 percent to 7.355 euros at 9:18 CET in Milan, giving the company a market value of 8.84 billion euros ($11.2 billion). Winning the backing of New York's financial community would ease Marchionne's efforts to fund a 48 billion euro ($62 billion) investment program through 2018. The plan is focused on expanding the Jeep brand and making luxury Maserati and Alfa Romeo cars in Italy for export worldwide. The goal is to increase net income fivefold to about 5 billion euros. While Marchionne insists FCA, which is saddled with almost 10 billion euros in net debt, doesn't need to raise capital for the expansion, he's said new shares could be sold to bolster the balance sheet of the company, which has become dependent on demand in the U.S. amid losses in Europe. "Technically, we don't need equity," Marchionne said in an interview with Bloomberg from the floor of the NYSE on Oct. 13. "We may issue some just as safety to make sure that in the event that there were to be a slowdown in the industry for whatever reason we'd be protected." The company also has about 89 million shares to offer investors and boost trading volume in New York. That includes treasury shares and Fiat stock bought back during the merger process. A sale would raise about $840 million at Tuesday's closing price. Marchionne's been here before and knows investor interest won't come on its own. CNH Industrial NV, the truck and tractor maker spun off from Fiat in 2011, continues to struggle on Wall Street after moving its main listing to New York last year. CNH's trading volume in Milan is on average almost four times higher than in New York. "Until you get a larger shareholder base in the U.S. and you educate investors in North America, you won't see a big increase" in FCA trading on Wall Street, said Richard Hilgert, an analyst with Morningstar Inc. in Chicago. "It's a long-term project to target having higher volumes in the U.S. than Italy."